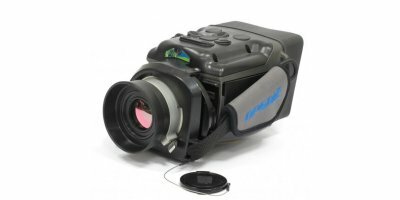 OPGAL Optronic Industries Ltd. is a leading global manufacturer of innovative thermal imaging infrared cameras. 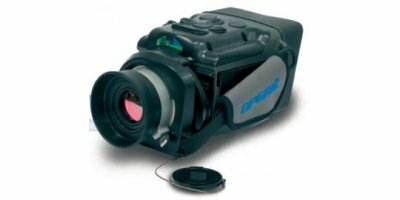 OPGAL has been manufacturing a wide portfolio of thermal imaging infrared products since 1983, its products serve the Defense, Security, Industrial and Aviation markets. OPGAL develops and manufactures “EyeCGas”, an optical gas imaging infrared camera for remote fugitive emission detection. 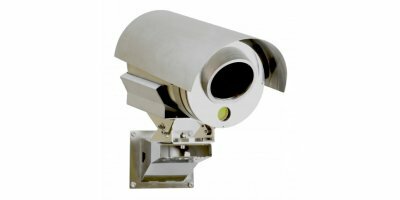 The EyeCGas camera is designed for the Oil & Gas industry, it is the only gas imaging camera meeting ATEX (ATEX II 3G Ex nL IIC T6), and UL (Class 1 Div2) requirements for the use in hazardous locations. OPGAL Optronic Industries Ltd. is a leading global manufacturer of innovative thermal imaging infrared cameras. OPGAL has been manufacturing a wide portfolio of thermal imaging infrared products since 1983, its products serve the Defense, Security, Industrial and Aviation markets. OPGAL develops and manufactures “EyeCGas”, an optical gas imaging infrared camera for remote fugitive emission detection. The EyeCGas camera is designed for the Oil&Gas industry, it is the only gas imaging camera meeting ATEX (ATEX II 3G Ex nL IIC T6), and UL (Class 1 Div2) requirements for the use in hazardous locations. Many industries involve the usage or dismissal of gases as part of its daily routines. Leaks of Green House Gases (GHG) from process and transport systems in these industries contribute to global warming, expose employees to health hazards and risk of explosion, and represent enormous economic losses for the companies involved. “EyeCGas” – Opgal’s innovative infrared gas imaging camera enables the quick and safe detection and visualization of these gasses. “Downstream” flow, which end up at the end user home or business. Throughout the Oil and Gas industry, leaks are a real concern. Unlike any other leak detection technology, InfraRed Gas Imaging cameras such as “EyeCGas®” can easily help the operator to visualize the source of the leak, and provide easy to interpret, accurate location of the leak. This ability makes EyeCGas® a powerful tool for detecting small and large leaks and verifying their repair. Using various lens options EyeCGas® enables remote detection of leaks, from as far as several hundrads of meters away. In a complex petrochemical facility there may be many thousands of potential leaks paths. Some may be leaking but most will not. Using an infrared Gas Detection camera allows the user to examine many potential leaks sources in a short time and from a distance. The EPA acknowledged gas imaging cameras, such as Opgal’s EyeCGas®, as an approved Leak Detection and Repair (LDAR) Method 21 alternate work practice (AWP). Recent decades brought a rapid growth in the global demand for energy. This trend is accurate for both developed as well as developing countries. Electrical power is a key source of energy for the vast majority of the world population. Although the usage of renewable energy is on the rise, the majority of electric power production worldwide is still based on conventional methods utilizing coal, oil and gas as its fuel to power the stations. The burning of fossil fuels in energy use is one of the primary sources for greenhouse gas (GHG) emissions. Energy-related emissions of Carbon Dioxide resulting from the combustion of petroleum, coal, and natural gas, account for most of total human-caused (anthropogenic) GHG emissions. Another greenhouse gas, methane (CH4), is also common in landfills, power plants and Bio-Fuel operations. Taking advantage of the InfraRed “spectral stamp” of some of the harmful gases, thermal imaging cameras can detect and visualize the presence of the gas, and enable us to reduce the risk associated with them. EyeCGas® camera is a high sensitivity camera, utilizing the Mid-Wave Infrared spectrum (3-5 um). It is field proven and has been found very efficient in detecting Natural Gas, Methane – CH4, and other VOC’s in power plants, and other energy related sites.